Diners vote three Philly restaurants on OpenTable's top 50 vegetarian spots in U.S.
Vegetarian and vegan restaurants have increasingly become major selling points among urban areas in the United States, where health-conscious lifestyles broaden their appeal beyond those who identify specifically with those diets. Dining reservations app OpenTable recently completed a nationwide analysis of restaurant reviews to determine which ones diners consider to be the best restaurants for vegetarians in the country. This list included vegetarian, vegetarian-friendly and vegan restaurants. Three Philadelphia restaurants landed in the top 50. 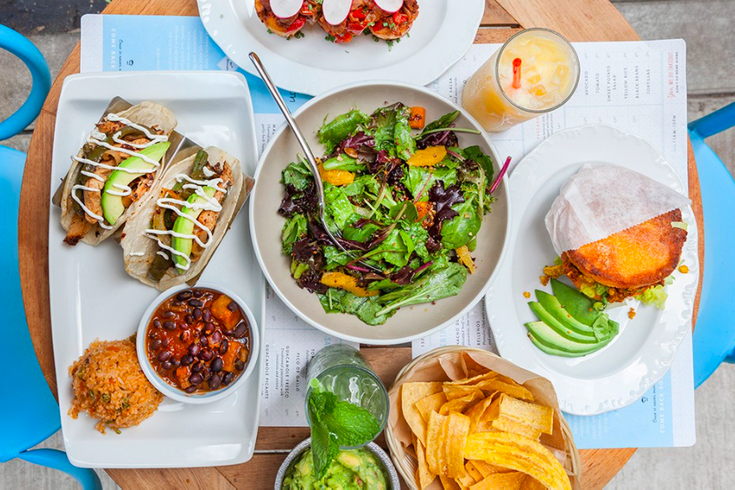 The list, which was presented alphabetically, was generated from more than 12 million verified dinner reviews at more than 28,000 restaurants in all 50 states and Washington, D.C.
First on the list is Rittenhouse's Bar Bombon, whose all plant-based Latin menu includes buffalo cauliflower tacos and a platter of nachos that will change your life. It's also a popular place to grab a drink, so you should never be surprised when you show up and have to wait for a table. Next on the list is Charlie was a sinner, which has cemented itself as one of Center City's best vegan bars over the past four years. This is a classy establishment with a literary theme running through parts of its menu. You'll find everything from cocktails, sliders and pasta to wine, coffee, tea, juice and desserts. It's impossible to generate any list without noting Michael Solomonov and Steve Cook's Zahav, the Israeli powerhouse that helped propel their CookNSolo restaurant group to the forefront of Philadelphia's dining scene. While not strictly vegetarian, that portion of their menu comes from generations of tradition adapted to suit the modern plant-based palette. There's good news for Zahav fans who only wish it weren't so hard to get a reservation. Solomonov and Cook appear to be planning another restaurant based on the Zahav concept in Olde Kensington. Check out a map of OpenTable's top vegetarian spots here.